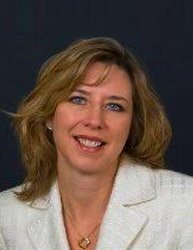 Rebecca Snead, RPh, is the Executive Vice President and CEO of the National Alliance of State Pharmacy Associations (NASPA). She also is the Secretary/Treasurer for the Alliance for Patient Medication Safety Pharmacy (APMS), a non-profit supporting entity to NASPA which is listed as a Patient Safety Organization (PSO) with the Agency for Healthcare Research and Quality (AHRQ). The mission of APMS is to foster a culture of quality within the profession of pharmacy that promotes continuous systems analysis to develop best practices that will reduce medication errors, improve medication use and enhance patient care. In addition, Rebecca serves on many boards and alliances focused on advancing the profession of pharmacy. Previously, she served as the Executive Director of the Virginia Pharmacists Association for over a decade.